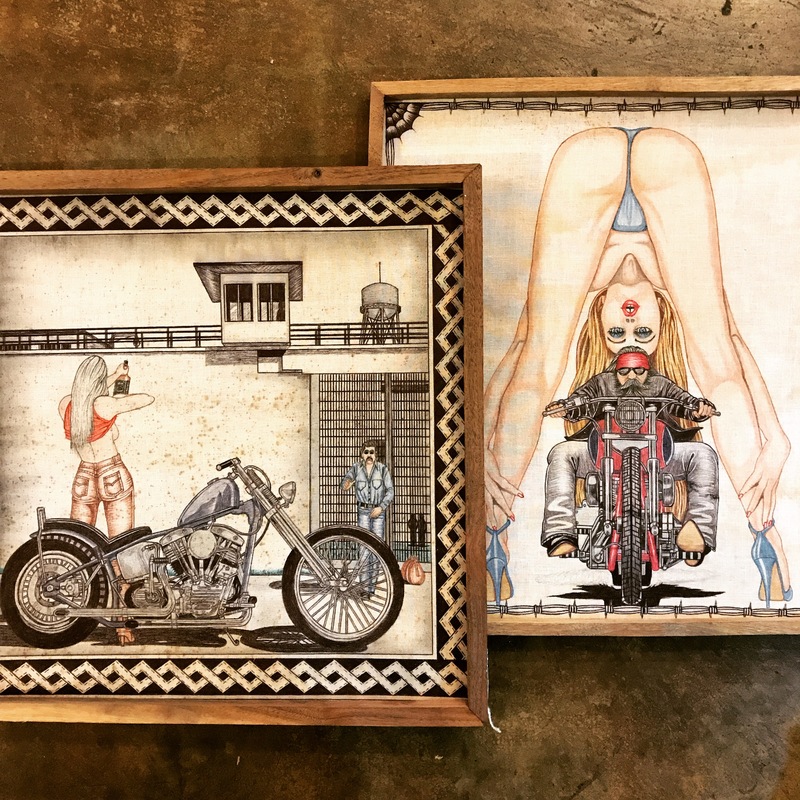 Two amazingly detailed vintage biker trash/prison art pieces done on fabric. $48 each. 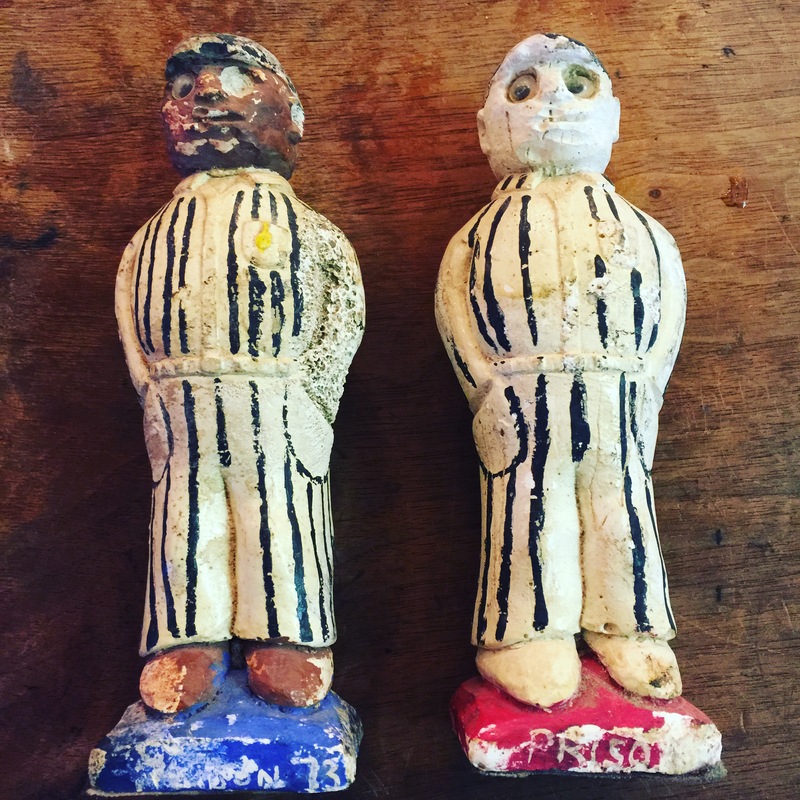 Two really great old souvenirs from a Texas prison. 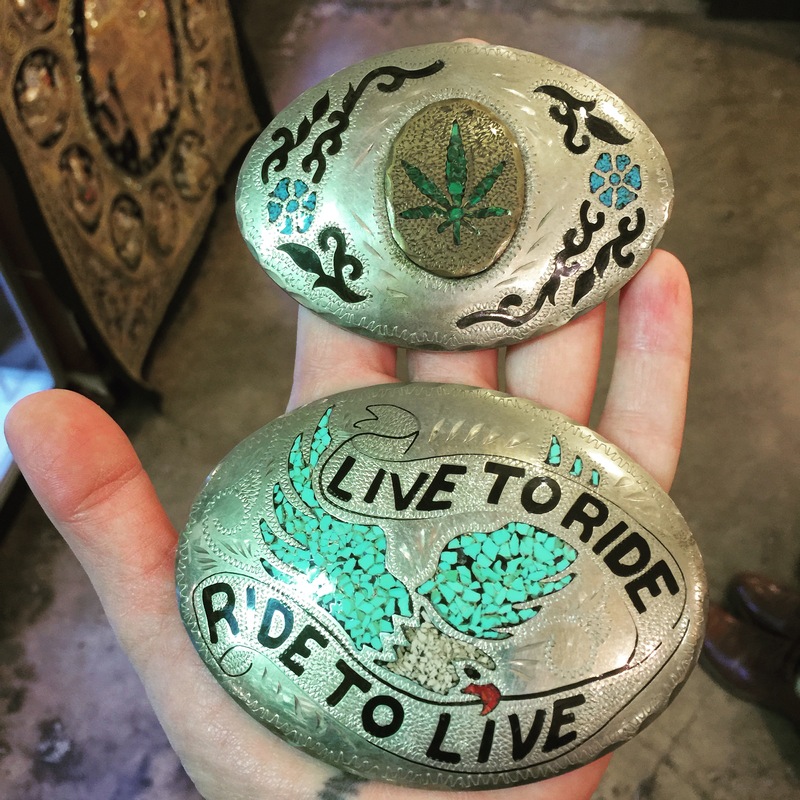 I love these two LARGE 1970′s sterling belt buckles that came into the shop today!! $195-250.